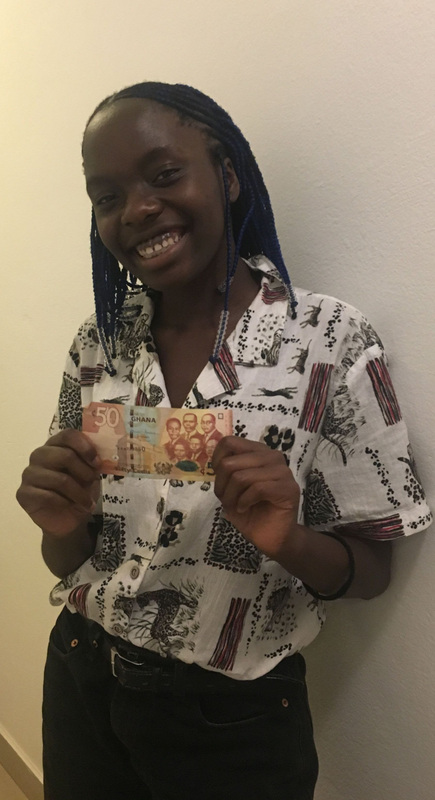 Valerie Ugochi Egonu, currently studying at NYU Accra, describes budgeting for her rich experiences studying in Accra. One of my biggest concerns when I decided that I wanted to study abroad was the financial aspect of it. I love exploring, trying new foods, and going out with friends, but on the New York campus those activities can be pretty expensive and immersive cultural experiences really add up. To my surprise, when I got to Accra I realized how budget friendly this city is, especially as a student. Today I’ll be spending a day in Accra for less than 50 cedis (10 USD). Osu is a bustling neighborhood with street vendors, restaurants and nightlife, which make it an ideal place to spend the day. The uber to Osu from the NYU dorms is anywhere from 5-7 cedis. If I forget to bring a snack, I can easily buy plantain chips or nuts while in the car for 1 cedi. The main road, Oxford street, is a great place to take a walk and do a bit of people watching. If I get thirsty, which is bound to happen under the hot Ghana sun, I might stop and get a refreshing coconut for 3 cedis or a coke for 5 cedis. When I start to get hungry, I’ll head over to a kiosk and get waakye and kelewle, local street foods consisting of rice, beans and fried plantains, which ends up being about 10 cedis. As night falls, I head over Republic, a chill local bar, and meet a friend for drinks. I get a cocktail and watch as locals and tourists go up for karaoke, this ends up being 18 cedis. As the night winds down, I head to my favorite ice cream spot, Pinocchio’s, and get one scoop of the hazelnut ice cream. Spending the semester in Accra has given me the opportunity to explore and have fun without breaking the bank. This entry was posted in Accra, Students. Bookmark the permalink.